Apr. 1 (NBD) – "I will jump to death if anyone tells me to go to school again," a 15-year-old boy threatened the village cadres who were persuading him to continue his education. The boy dropped out from junior high school and had stayed at home for a long time. His village lies in a mountainous area in Southwest China where 90 percent of the village population lives under poverty line. A local official told magazine China Comment that many frequent truants and students with poor performance, who felt studying is too much a struggle, chose to "go into society". "Education changes destiny" is a long-held tenet of Chinese people, especially for those less advantaged groups, but the slogan seems to be losing its credibility in China's poverty-stricken regions. Cao Dongbo, associate professor at Shanghai University of Finance and Economics, observed that junior high school students are easily distracted away from education during Spring Festival, when similarly aged migrant workers return home and show off new smartphones or fancy clothes. Many of them then jumped on the bandwagon to work after the winter vacation. Cao is currently serving a temporary position as a deputy county mayor in Southwest China's Yuanyang County, a remote mountainous region populated by ethnic minorities. An education official in a county amid Southwest China's stone desert region told China Comment that work teams consisting of local officials from various departments had gone several times to Guangdong Province, one of China's manufacturing hubs, trying to convince dropouts who work there to return, but some kids refused to get in touch with them, to the extent of blocking officials' phone numbers and WeChat accounts. Some school-haters don’t even want to work. 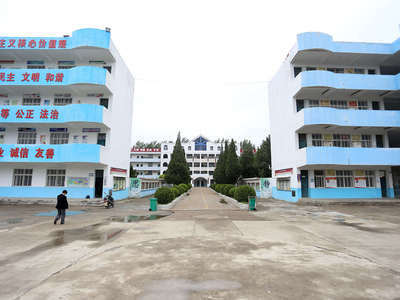 A county in Guangdong Province planned to help over 100 teenagers from a less developed county in neighboring Guangxi Province to get one-year vocational education, but only some 40 accepted the offer, and 6 of them stayed for just a few days. Some children from poor families would rather play games than take the training, lamented a county official responsible for poverty alleviation. The phenomena lead some Chinese media to wonder why it seems that dropout is more serious in poorer regions. China Comment noticed that as smartphones become household devices in rural China, students are attracted to live broadcasters and games, with some becoming addictive users. Another contributing factor is the "grandparent raising children" model commonly seen in poor regions. An official from a county in central China said that over 40,000 children in rural regions whose parents work in remote locations are left to their grandparents, who often can do nothing more than feeding and dressing their grandchildren. Cao also observed that grandparents of ethnic minority received little education and cannot help their grandchildren to acquire the country's standard language, Mandarin Chinese. Besides, poor families would deem pre-school education, which is not covered in China's compulsory education system, a luxury since they struggle to afford it. The result is that their children face language difficulties when entering primary school, resulting in poor academic performance. Moreover, things taught in rural schools are less than attractive to students. Zhou Daming, an anthropology professor in Shandong University, said education in rural China simply follows the urban version, and the textbooks lack locality, practicality and fun, thus less relevant to rural children. Improving rural education is a complex, difficult and systematic enterprise, far more than upgrading hardware like school buildings, playground and libraries. It requires the coordinated efforts from families, schools and the society, commented Cao. He calls for more targeted support for teachers and kids in the countryside in order to leave no one behind.